Parkview Tinton Falls For Sale. Call 732-598-7700 to see the homes in Parkview Tinton Falls For Sale. There are 27 townhouses in Parkview Tinton Falls. 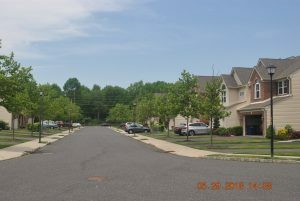 The homes were built in 2009 through 2010 by Ryan Homes. These townhouses have three bedrooms with 2.5 baths. The homes have either a one or a two car garage. The homes are two level homes and have between 1918 and 2196 square feet of living space. Three of these homes are designated as low income housing, and are different designs than the others. Located off Shafto Road, Parkview Tinton Falls offers easy access to the Garden State Parkway, Route 18, Route 34 and the Jersey Shore. This home is close to beaches, shopping, restaurants, and is perfect for commuters. Trains to New York are nearby at the Little Silver station. Bus service is also nearby, offering both commuter and local routes. Public school students will attend the Tinton Falls School District which has three schools. The schools serve children in grades Kindergarten through eighth grade. Children from neighboring Shrewsbury Township as well as dependent children of Naval Weapons Station Earle military families also attend. When students enter high school, Monmouth Regional High School is the school they will attend. 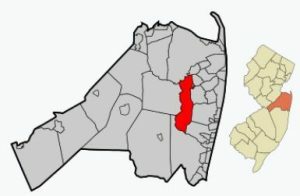 However, when they enter high school they may also apply to one of the five high schools in the Monmouth County Vocational School District. Specialized courses are available in fields such as computer science, and biotechnology. Also courses in the medical and science fields are available, among others. In addition, there are many private schools in the immediate area. Consequently, students and parents have a number of options to choose from. Looking for an Active Adult Community? Call Today to Begin Your Search For Your New Home! © 2019 · Art Reiman All Rights Reserved. Theme by HB-Themes.